If you have a internet public facing SharePoint site that uses HTTPS that is hosted on premise and its certificate is due to be expired, then follow the complete steps below on the process involved with renewing a certificate on the SharePoint farm. From the Windows Start menu, find Internet Information Services (IIS) Manager and open it (click Administrative Tools > Internet Information Services (IIS) Manager). In the Connections pane, locate and click the server. 4. In the Actions menu (right pane), click Create Certificate Request. 5. In the Request Certificate wizard, on the Distinguished Name Properties page, provide the information specified below and then click Next. Common name: The fully-qualified domain name (FQDN) (e.g., http://www.example.com). Organizational unit: The name of your department within the organization. This entry will usually be listed as “IT”, “Web Security”, or is simply left blank. State/province: The state/province where your company is legally located. 6. On the Cryptographic Service Provider Properties page, provide the information specified below and then click Next. 7. On the File Name page, under Specify a file name for the certificate request, click the … button to specify a save location for your CSR. Note: Remember the filename and save location of your CSR file. If you enter a filename without specifying a location, your CSR will be saved to C:\Windows\System32. 8. When you are done, click Finish. Open the CSR file using a text editor (such as Notepad), then copy the text (including the —–BEGIN NEW CERTIFICATE REQUEST—– and —–END NEW CERTIFICATE REQUEST—– tags) and paste it into the vendor (e.g. DigiCert) order online form for submission. On the server where you created the CSR, save the SSL certificate .cer file (e.g., your_domain_com.cer) that you received from DigiCert. Open Internet Information Services (IIS) Manager (click Start > Administrative Tools > Internet Information Services (IIS) Manager). 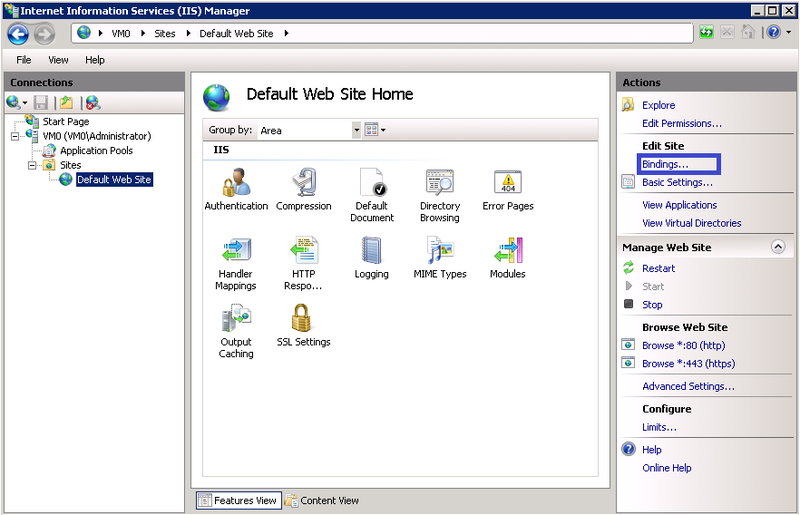 In the server Home page (center pane) under the IIS section, double-click Server Certificates. 5. In the Actions menu (right pane), click Complete Certificate Request. Friendly name: Type a friendly name for the certificate. This is not part of the certificate; instead, it is used to identify the certificate. Note: We recommend that you add the issuing CA (e.g., DigiCert) and the expiration date to the end of your friendly name; for example, yoursite-digicert-(expiration date). Doing this helps identify the issuer and expiration date for each certificate and also helps distinguish multiple certificates with the same domain name. 7. Click OK to install the certificate. If this is the server where you generated the CSR, it’s possible the certificate is actually installed and the message can be ignored. Simply click OK, then close and reopen Internet Information Services (IIS) Manager to refresh the list of server certificates. The new certificate should appear in the Server Certificates list, and you can continue with the next step. Reissue your certificate (see Reissuing a DigiCert SSL Certificate). Use the DigiCert Certificate Utility to import the certificate (see SSL Certificates CSR Creation :: IIS 7). 4. In the Site Bindings window, If there is no existing https binding, choose Add and change Type from HTTP to HTTPS. NOTE: If there is already a https binding, select it and click Edit. a multi-server, load-balanced Office Web Apps Server farm. physical servers or virtual machine instances, but can’t install other server applications (such as SharePoint 2013 or SQL Server) on the same server as Office Web Apps Server. Install bellow additional software which are prerequisites for Installation of Office Web App Server. Server role: Web Server (IIS) Here are the minimum role services required for the Web Server (IIS) server role. 7.1 Follow instructions about running PowerShell commands at “Prepare servers to run Office Web Apps Server” on the OS that is relevant for the server. 7.2 Restart the server after running the PowerShell cmdlet. Then you can jump CU build number and download the latest CU. 7.5 Download and install language packs for Office Web Apps Server. The next step is to create Office Web Apps Server farm that uses either HTTP or HTTPS with certification. NOTE: Use HTTP if the farm is a test\development server. Otherwise always use HTTPS on production server farm with certificate install. The steps are below assuming that certificates has been installed, deployed and configure. –EditingEnabled enables editing in Office Web Apps when used with SharePoint 2013. This parameter isn’t used by Lync Server 2013 or Exchange Server 2013 because those hosts don’t support editing. InternalURL Refers to URL that will be used by Lync 2013 Clients connected to Lync server internally. ExternalURL Refers to URL that will be used by Lync 2013 Clients connected to Lync server externally. CertificateName is set to ‘WacCert’ which is the friendly name of the certificate that we created earlier. To verify Office Web Apps server was created in step 3.2.1, open IE browser and go to: http://servername/hosting/discovery , where servername is the name of the server farm that had office Web App installed. At the end of this step, we have installed office web app server, created an Office Web App Server Farm and have associated valid certificate that was created earlier, Office Web App Server is now ready to be used with SharePoint 2013 host. Right-click SharePoint 2013 Management Shell to display the app bar. In the app bar, click Run as administrator. <WacServerName> is the fully qualified domain name (FQDN) of the URL that you set for the internal URL. This is the point of entry for Office Web Apps Server traffic. For this test environment, you need to specify the –AllowHTTP parameter to allow SharePoint 2013 to receive discovery information from the Office Web Apps Server farm by using HTTP. If you don’t specify –AllowHTTP, SharePoint 2013 will try to use HTTPS to communicate with the Office Web Apps Server farm, and this command won’t work. 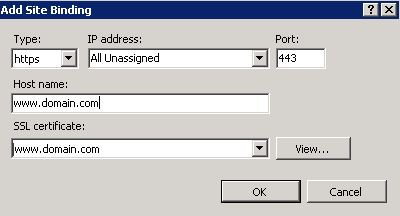 Office Web Apps Server uses zones to determine which URL (internal or external) and which protocol (HTTP or HTTPS) to use when it communicates with the host, in this case, SharePoint 2013. By default, SharePoint Server 2013 uses the internal-https zone.If SharePoint was configured to use externally, then you use internal-https. If SharePoint was configured to be used internally, then you use internal-http. The WOPI zone displayed by this cmdlet should be internal-http. So if it’s displayed wrongly go to step 6. Otherwise go to step 7. Git is a repository version source control system that keeps track of files (of any format) and folder changes that are physically kept on the computer hard drive file (e.g. C drive) or shared network drive structure on Windows or Mac OS. Meanwhile, GitHub is an online repository source control on the cloud where it host unlimited public repository to individual registered users who sign up fora GitHub account. Once users have a GitHub account, they can begin to upload and publish open source code projects and solutions that are shared to the community. GitHub also host private repository for individual or as an organization at a monthly price that users have to pay if interested. Thus GitHub does NOT offer any free online private repository, except for Visual Studio Online that offers private repository for up to the first 5 users. From $21/month for a pack of 10 users hosted on SMS private cloud like Windows Azure. Download and read eBook Pro Git by Scott Chacon and Ben Straub that is available to read online for free. How to add a file/folder into Git? To add a file to staging areal, type: git add <file name/folder name> This cmdlet will add individual file or add bulk of files (inside the folder) into the staging area. Git add . = Add all the list of untrack files to be ready for commitment in the staging environment area. Git commit -m “add comments here” = Commit all the files in staging. Parameter -n means to add the comments and display message during commit process. Get reset HEAD <file name> = Unstage from commit, meaning remove files out of staging environment back and revert file to current working. The OfficeDev PnP Cmdlets are a set of cmdlets specifically designed to provision and modify artifacts in SharePoint Online. In this way they differ a bit from the PowerShell cmdlets provided by Microsoft which are mainly focused on administrative tasks. In this post I will introduce you to the basics of the cmdlets. The cmdlets utilize CSOM behind the scenes, which means that you can run them on any computer that has access to your server over HTTP / HTTPS. If you want to see the cmdlets in action, please check out this video on Channel 9. PnPPowerShellCommands16.msi for SharePoint Online / Office 365. Download the appropriate package and run the install. Accept the license agrement and click ‘Install’. The Advanced option allows you to pick if the cmdlets should be installed only for you or if you want to install them for all users on your computer (the latter requires that you have administrative rights with the account you are logged in with). The install shouldn’t take more than a few seconds. When you enter the command, obviously with a functional url to your server and or Office 365, you will be prompted to enter your user credentials. After you entered the Connect-SPOnline cmdlet you can execute all the other cmdlets available in the PnP Cmdlets module to perform various tasks. This means that while the $list object has a property called Views, you need to explicitely request it from the server (notice, there is also a Get-SPOView cmdlet, which returns all the views for a list, but in this case we’re going to retrieve the views the ‘hard way’). This will list all available cmdlets. This will return an overview of the supported parameters, a short description per parameter and one or more examples (notice, not all PnP Cmdlets show examples, but most of them do). Missing functionality or want to contribute? The cmdlet sourcd code is available in the following github repository: https://github.com/officedev/pnp-powershell. This is a sub repository for the PnP Repository available at https://github.com/officedev/pnp. In the latter repository you will find a wiki page athttps://github.com/OfficeDev/PnP/wiki/contributing-to-Office-365-developer-patterns-and-practices that should get you up and running with a pull request, which is the github way of proposing an addition and/or change. What is Office 365 PnP (Practice and Pattern)? It is about providing a site provisioning engine to create sites and site collections within a SharePoint Online tenant or a on premise SharePoint farm base on a given definition. The definition of a site provisioning engine is an object describing the provisioned components like list, libraries and features. But also SharePoint security groups, users, site property bags entries and Composed Looks. O365 PnP is also about rising initiatives awareness to the public community about training, best practices and guidance. With the template provider, the definition object can be transformed to JSON or XML. This works in both ways, so you can transform a XML definition into an object. Therefore you are able to define the structure of a site or site collection in a XML template. The definition object will be referred to as PnP template. Few classic site provisioning techniques is best explain with the blog author Vesa Juvonen who explains these techniques in more detail. The modern way of site provisioning is remote provisioning. Remote provisioning uses the Client Side Object Model (CSOM) or the REST API to create a site and fill this site incrementally with CSOM/REST requests. This model is suitable for both on-premises and Office 365 online in the cloud, since we control the customizations outside of the SharePoint farm in an independent solution. To improve the experience using remote provisioning, the Office Dev PnP team created PnP Provisioning. As mentioned earlier, a really great part of PnP Provisioning is defining a site template in a XML using the PnP Provisioning Schema. contains the provisioning schema for pnp provisioning in XML format, a community driven effort for designing one schema which can be used to define elements in the office 365. * To find and download the Power Point presentation slides for each video, go to https://docs.com and search for the video title. 3. Visit the O365 PnP GitHub open repository site to explore sample codes and other useful links. NuGet Office 365 PnP into VS 2013/2015 – Search “officedevpnp” in NuGet Manager. PnP Partner Pack – Setup Guide video at Channel 9. This section talks about the software you should have ready on your system before starting the installation and configuration process of your SharePoint 2013 farm using AutoSPInstaller. And voila! Once the script has been run, you should have a semi-running SharePoint farm. Back up your data. Although this is not a required step, you might have databases that you want to save in their present state. You might also want to save changes that were made to the system databases. If either situation is true, make sure that back up the data before you uninstall SQL Server. Alternatively, save a copy of all the data and log files in a folder other than the MSSQL folder. The MSSQL folder is deleted during uninstallation. Delete the local security groups. Before you uninstall SQL Server, delete the local security groups for SQL Server components. Stop all SQL Server services. We recommend that you stop all SQL Server services before you uninstall SQL Server components. Active connections can prevent successful uninstallation. Use an account that has the appropriate permissions. Log on to the server by using the SQL Server service account or by using an account that has equivalent permissions. For example, you can log on to the server by using an account that is a member of the local Administrators group. Right click Microsoft SQL Server 2012 and select Uninstall. Then click Remove. This starts the SQL Server Installation Wizard. Setup Support Rules runs to verify your computer configuration. To continue, click Next. On the Select Instance page, use the drop-down box to specify an instance of SQL Server to remove, or specify the option to remove only the SQL Server shared features and management tools. To continue, click Next. On the Select Features page, specify the features to remove from the specified instance of SQL Server. Removal rules runs to verify that the operation can complete successfully. Immediately after you uninstall the last SQL Server 2012 instance, the other programs associated with SQL Server 2012 will still be visible in the list of programs in Programs and Features. However, if you close Programs and Features, the next time you open Programs and Features, it will refresh the list of programs, to show only the ones that are actually still installed. E-mail clients are used with Office 365 to access and manage e-mails and calendars. Like other applications, there are instances where issues may arise and these issues need to be identified and resolved. A client program is available that can be used to detect connectivity issues between the email clients and Office 365. E-mail users can use this tool to locate common issues. What tool can be used by the e-mail users to identify these issues? Choose the best option(s) from those listed below. The Microsoft Connectivity Analyzer tool is used to detect connectivity issues between the e-mail clients and Office 365. It can be used by e-mail users to find common issues or by administrators to help resolve issues that could be affecting the Exchange Server deployment. It functions by using a simulated scenario such as client logon. If issues exist, error messages will be displayed that can provide helpful tips to resolve the issues. B: Microsoft Online Services Diagnostics and Logging – The Microsoft Online Services Diagnostics and Logging (MOSDAL) tool can be used to diagnose a network and also gather system and network configurations, and logging information which is used to connect to Office 365. It is not the tool used to identify connectivity issues between the e-mail clients and Office 365. C: Microsoft Office 365 admin center – The Microsoft Office 365 admin center is used to configure, manage, and monitor Office 365 products. It is not the tool used to identify connectivity issues between the e-mail clients and Office 365. D: Transport Reliability IP Probe – The Transport Reliability IP Probe (TRIPP) tool is typically used to test the quality of an Internet connection to a Microsoft Online Service such as Lync Online. It is not used to identify connectivity issues between the e-mail clients and Office 365.